The connected society has made broadcasting to customers harder rather than easier. One-to-one communications using telephone systems are now central to customer services and marketing for many businesses. Consequently, using it effectively can make or break the enterprise. Key considerations are the quality of customer experience delivered and the cost per call. Using your internet connection to carry telephone calls means you not only take advantage of wholesale VoIP termination rates, but you can also integrate your interactions into your CRM system. You can store, review, and mine them for valuable market and performance intelligence. Here are the first four of eight ways to succeed. In real-time interactions, agents need complete up-to-date knowledge of the services and products you offer. Similarly, whenever there are problems, they need to know the exact steps to resolve them. Inefficiency increases the cost of the call and degrades the customer experience. Use your VoIP service to evaluate and develop tip-top agents from initial hiring right through to the provision of feedback, support, incentivization, and internal promotion. In the old days, gauging how well employees perform or how happy customers are was extremely difficult. VoIP allows supervisors to quickly monitor both metrics in real time, switching between lines with ease to provide each agent with individually tailored support. Reduce your customers’ frustrations and costs by offering them the option to queue a callback instead of waiting. Without this feature, customers will hang up at busy times and go elsewhere. At its simplest, you can use IVR in combination with a direct dial-in service (DDI or DID; see https://www.idtexpress.com/ for more) to allow inbound callers to connect to appropriate extensions without having to know internal numbers or queue for the receptionist. 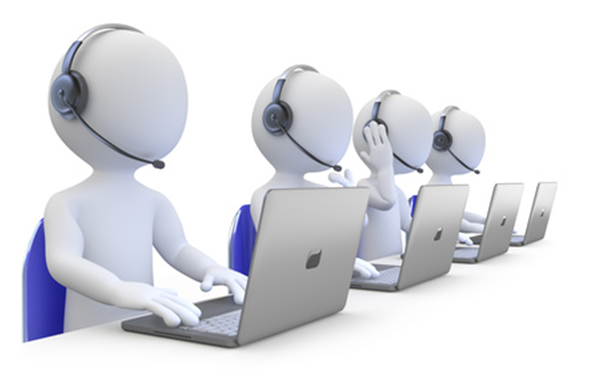 IVR also enables self-service systems through which customers can operate the system itself instead of queuing for an agent. They can perform purchases, settle bills, arrange appointments, schedule callbacks, report issues, or carry out other routine company operations without requiring the time of any human agent. For more information, see https://www.mycustomer.com/service/contact-centres/how-ivr-can-still-become-a-self-service-success-with-your-customers. Self-service IVR systems are available 24 hours a day, seven days a week, without adding to your payroll costs and overcoming the perennial conundrum that customers are least available to take calls during normal working hours.